With access to more than 20 retailers, this ingenious service allows you to shop online and delivers your shopping to your home or office in less than an hour. Julian Gleizer sat with City Life to tell us about the refresh of the company and its new partnership with McEwan’s. I’m sure you’ve found yourself in a situation such as this before: you’ve been at work for hours, it’s finally time to head home — only you get stuck in traffic. After all this, you get home, open your fridge and you see … nothing. You haven’t had time to grocery shop. But do you really want to head back out just to walk around a grocery store for an hour? Luckily, we have found an alternative for you. INABUGGY (formerly INSTABUGGY) is a website and app that allows you to browse through more than 20 different retailers, including FreshCo, the LCBO, McEwan’s, Coppa’s and Costco, to make purchases at in-store pricing and get your order delivered to your doorstep, all in less than an hour and up to three days in advance. With dedicated, meticulously trained personal shoppers who will select and pack your groceries the way you would for yourself, you will always receive the best merchandise. With this geo-location service, all you have to do is log on and input your postal code, and you’ll be provided with all the retailers in your area from which you can shop. Offering its services in Toronto and the GTA, Vancouver and the Greater Vancouver Area, Ottawa and Calgary, the app has been able to expand quite successfully, but the team hopes to blanket Canada entirely in the near future. With no maximums or minimums on your shopping, INABUGGY only has one fee. “We have a $19.98 delivery charge, which is specifically for picking, packing and delivering your groceries,” says Julian Gleizer, the co-founder and CEO of INABUGGY. On top of that, if you’re interested in shopping from a few stores, each additional store only costs $9.99. Having recently gone through a refresh, INABUGGY has expanded what it is able to deliver for customers. “In addition to groceries and alcohol, we now offer pharmaceuticals, we offer pet [products], we offer a number of other additional services and offerings that complement the groceries,” says Gleizer. This partnership will provide customers with a gourmet retailer through which they can purchase local produce, fresh in-house-made food and unique international finds. McEwan says: “I try to make food people want to eat. Our dishes are approachable and truly let quality ingredients shine.” For instance, McEwan’s partnership with the Cheese Boutique allows his stores to offer premium cheeses and deli products to customers. By partnering with INABUGGY, McEwan stores will be able to widen their reach to guests and give them the chance to experience these incredible products. This refresh also comes with enhanced mobile app functions, as well as the inclusion of subscriptions boxes. Available weekly, biweekly and monthly, the boxes’ contents can be predetermined or customizable, and there are savings offered on bundled items. McEwan locations will also be adding their own contribution to these boxes. 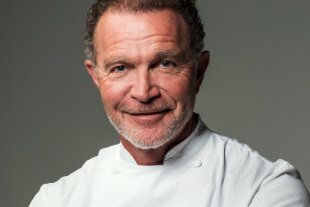 “We will be creating new recipe kits, where our guests can choose from different recipes and take home all the pre-prepared ingredients to enjoy at home,” says McEwan. One other innovative thing INABUGGY has introduced is a loyalty and rewards program for its customers, INABUX. With this you receive 1 per cent cash back on your first 10 orders, and from that point, each additional order will give you 2 per cent cash back. “You can actually make money while you’re shopping,” says Gleizer. By increasing the functionality of its process and incorporating new and innovative features, INABUGGY will be the new and improved way to do all of your shopping. 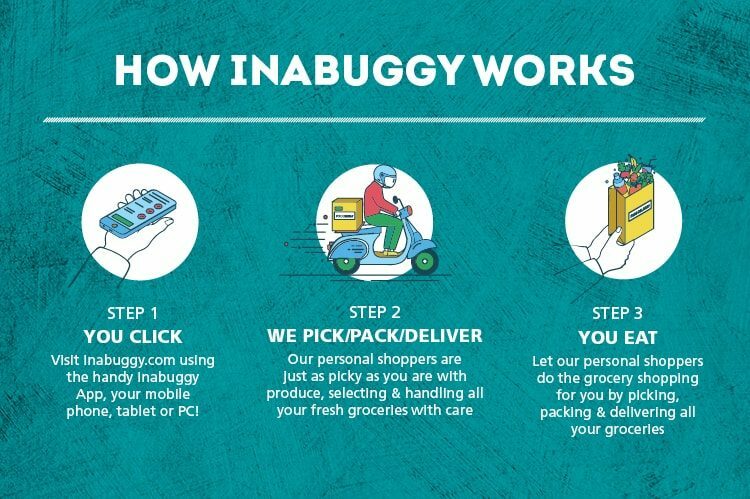 CITYLIFE: How will partnering with INABUGGY change the shopping experience for customers? MCEWAN: We want to offer our clients as many quality services as possible. Some guests already have phenomenal relationships with our in-store butchers, bakers and fishmongers and want to continue to shop directly with them and pick up their orders. Other guests already use INABUGGY and prefer an online experience. We want to cater to all preferences. CITYLIFE: What is your cooking style, and how has that translated into your stores? MCEWAN: I don’t cut corners, and I think this ethos has translated well to our stores. In Canada, we have access to an incredible array of ingredients. Contemporary Canadian cuisine borrows flavours from all over the world, so I know our stores have something for every palette.